HUBER+SUHNER offers the SUCOFLEX® 118 microwave cable assemblies designed with improved and newly patented inner conductor construction. 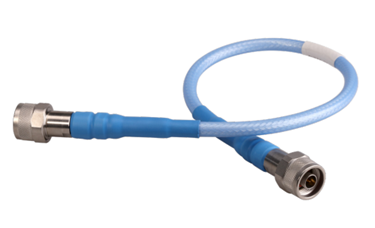 This cable assembly combines the low loss, VSWR, and CW power handling of the SUCOFLEX 106 with the phase stability and flexibility of SUCOFLEX 106 P.
The SUCOFLEX 118 operates up through 18 GHz and is ideal where low loss must be joined with phase- and amplitude stability. The assembly includes a wide range of available connectors, crush resistant ruggedization, and an LSFH jacket. For more information on the SUCOFLEX 118, download the brochure (page 38).